Enter your NYK container tracking number below, should have format NYKU1234567, get the real-time NYK Line container status. During its 120-plus years in business, the NYK Group has evolved from a group based on maritime transport to a comprehensive logistics provider that now offers services by sea, land, and air. The NYK Group strives for the realization of the group mission statement, as every staff member endeavors to meet the expectations of their customers and gain the trust of society. If you have problem with our container tracking system, please track your container directly on the NYK Line website. If you get no tracking information from NYK Line official website, you’d better contact NYK Line. When you ship with NYK Line, you will get a NYK Line container tracking number with format NYKU1234567, NYKU is NYK Line’s prefix. NYK Line has two prefix, they are NYKU and NYNU. 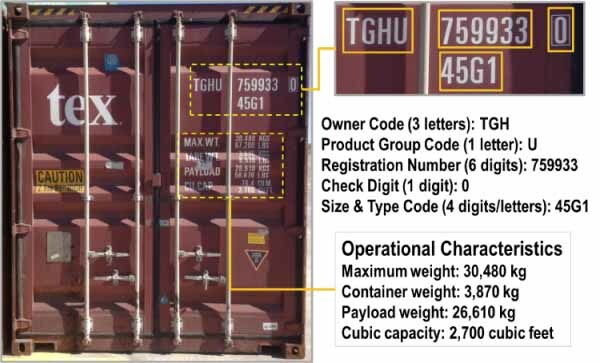 Know more NYK Line container tracking number information from below picture. If you have problem with our NYK Tracking system, submit your problem here, we will help you as soon as possible. Declare: We can NOT contact carrier or others on your behalf, we can only help you track your package with your NYK Container tracking number on official tracking system.